Open Saturdays and Sundays 1-4 PM, throughout the year. Whether you are a family or small business group, senior citizen group or a tour operator, we are happy to tailor your visit to the lighthouse. 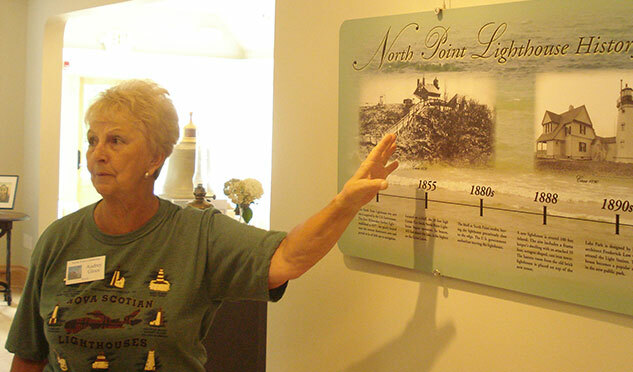 You can select a guided or self-guided tour, add a meeting or luncheon and even engage a lighthouse speaker about a variety of maritime and history related topics, include your own presentation, or organize a picnic lunch on our grounds. Throughout the year we work with homeschooled and traditional school groups, Girl and Boy Scout troops, and the Urban Ecology Center. As with our Group Tours, we will tailor your visit based on your needs. Our docents can make suggestions or answer questions about your particular purpose for the visit and make special arrangements so that you can accomplish what is required for your curriculum or badge. Admission is $8 per person.